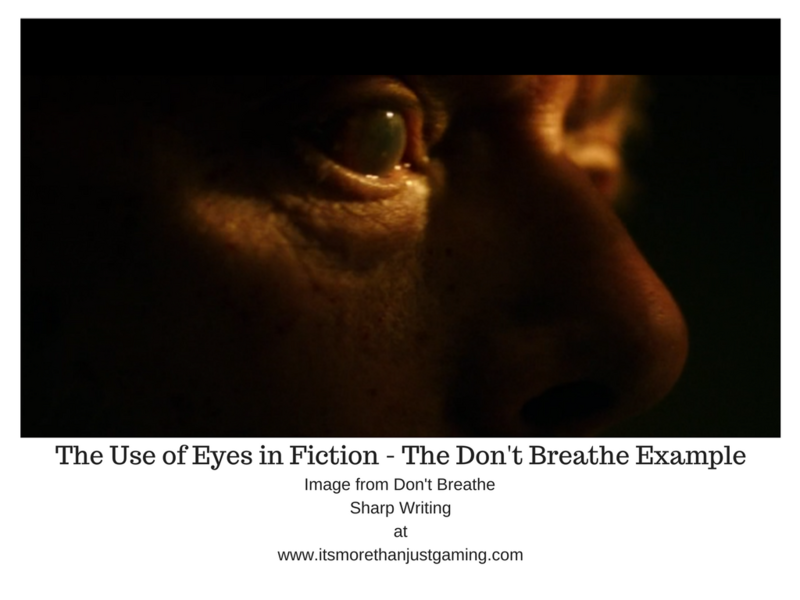 I recently spoke about a movie I have watched called Don’t Breathe. This is a film about a bunch of kids/young adults who decide to rob a blind war veteran who they are aware has had a major payout as a result of personal tragedy. The film is a thriller, as when the kids get into the house, they get more than they bargain for when the blind veteran locks them in, and begins hunting them. I guess he was supposed to be the villain but all my sympathy was with him, until the writers did something to make me lose sympathy for him (It was like reading Volpone all over again). It’s a decent movie, with Stephen Lang playing the part of the blind veteran. (The title image is cropped from the movie for the purposes of learning). A very interesting read, especially on how rigid eyes can become walls instead of windows to our souls. Eyes are the most expressive, and can reveal much about our emotions. For instance, the way our sight lingers upon objects of desire, versus how we avert our eyes from the disconcerting. All these actions are often instinctive too. With cloudy eyes, we no longer get to notice those revelatory ticks. After all, the rest of our features tend to be much more subtle, and harder to read.